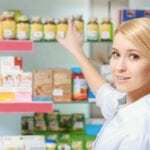 Pharmacies are an integral part of the healthcare system. They dispense medications and health products and deliver services that are critical to disease prevention and health promotion. Due to the increased demand for pharmacy services, pharmacists are expected to manage more clinical duties, including those carried out by physicians. Pharmacy technicians must step in and fill the gap, conducting additional duties to support the daily operations of the pharmacy. Technicians dispense medications, manage inventory such as stocking and removing recalled medications, interacting with patients and answering basic questions, counting and labeling medications, updating patient profiles, managing insurance billing, verifying prescriptions, and ringing up sales. Licensure as a pharmacy technician in Arizona requires passage of the national Pharmacy Technician Certification Exam administered by the Pharmacy Technician Certification Board (PTCB). Pharmacy technician programs prepare students for the success on the exam. According to the United States Bureau of Labor Statistics, employment of pharmacy technicians is expected to grow 12% from 2016 to 2026 – faster than the average for all occupations. The annual mean wage for pharmacy technicians in Arizona was $33,460 in 2016. The pharmacy technician program at Brookline College includes classes in pharmacy operations, pharmacology, pharmaceutical calculations, and body systems to prepare students for a career in the field and certification as a pharmacy technician. The program covers a total of 720 contact hours in 40 weeks. Students must complete 31.5 credit hours to graduate from the diploma program. Through online cases, laboratory sessions, and a pharmacy externship, students will understand the role of the pharmacy and pharmacy technician, the use of technology in drug-use control, the pharmacy formulary system, systems of measure and dosage calculations, and medical terminology and abbreviations. Students will also learn the receipt and processing of medication orders, preventing medication errors, the administration of drugs, defining apothecary symbols, customer service and good customer relations, and diseases and abnormal conditions. The online program is designed for adults to complete the requirements on their own time and not according to a set schedule. Students will develop necessary clinical skills in the school’s modern lab, which contains counting trays, laminar flow hoods, mortars and pestles, prescription balances, ointment slabs, and various other learning aids. The pharmacy externship will complete the program. Students will cover 160 hours in a Kroger or Walgreens pharmacy where they will have the opportunity to work closely with patients and members of the pharmacy team. The program is available on a part-time or full-time schedule. Tuition for the program is $15,225. The Pharmacy Technician Training program at Western Career prepares students for success on the Pharmacy Technician Certification Board exam and licensure as a Pharmacy Technician in the State of Arizona. The program is designed to be completed in just 10 weeks. WCA offers small class sizes to ensure students’ success in the program. The curriculum covers a total of 240 hours: 120 hours in the classroom and 120 hours at an accredited and licensed pharmacy where students will have the opportunity to work in a real-world setting and develop their skills as a technician. Course content includes technology, abbreviations, pharmacy calculations, the role of the pharmacy technician, interacting with patients, inventory control and management, drug classifications and formulations, medication therapy management services, drug formularies, storage and recall of medications, and special considerations. Classes meet Monday through Thursday for seven weeks in the classroom followed by three weeks of clinical at a local Walgreens pharmacy. Tuition for the program is $1,925 and includes the Top 200 drug Flashcards, uniform top, and background check. Biweekly payment plans are available. Registration costs $200. Students must purchase the pharmacy textbook, pharmacy tech math textbook, and DPD fingerprinting of licensure. The pharmacy technician program at Central Arizona College prepares adults for success on the PTCB exam and licensure in the State of Arizona. 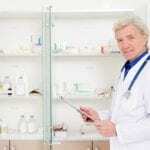 The curriculum emphasizes pharmacy calculations, pharmaceutical techniques, record-keeping, law and ethics, pharmacy terminology, customer care, and inventory control. Core courses are offered as an online option. The diploma program requires completion of 32 credits. Students must complete the courses in sequence according to the program’s sequencing map. All courses must be completed with a grade C or higher. Upon completion of the classroom requirements, students will have the opportunity to complete the practicum requirements at a local pharmacy. Students with felonies or charges that keep them from obtaining a Level I Fingerprint Clearance Care will be disqualified from entry to the program. The estimated cost of attendance is $4,529 and includes tuition, liability insurance, textbooks, background check, uniform, physical and immunization, CPR and First Aid, PTCB certification exam, and technician trainee license.